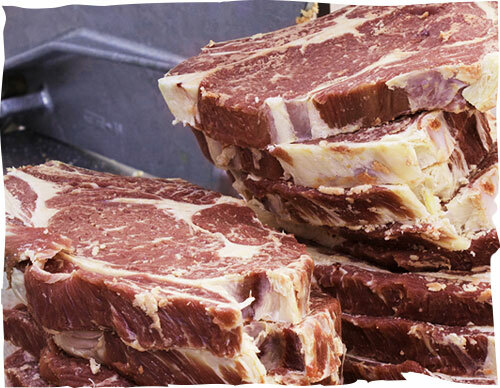 We are a full service facility and have the expertise to process all red meat animals including cattle, bison, sheep, lamb, swine, goats, ostrich, emu and llama. Kawano Farms is one of only 3 abattoirs north of Williams Lake and we have customers come to us from as far away as 150 Mile House, Burns Lake, and Mackenzie. We specialize in small batch processing and custom service. Kawano Farms provides slaughter services for animal owners across northern BC. The health of the animals is important to us. After being transported to our facility they will be given the opportunity to calm down in a pen with bedding in a quiet location... your animal will never be housed with other people's stock. As well, an independent provincial meat inspector will examine your animal prior to and during processing to ensure the highest quality product and service. Carcasses can be returned to the customer whole, in sides or in quarters; or cut, wrapped and processed to your specifications. Kawano Farms has an ideal facility for cutting and wrapping. Custom cutting will ensure that you receive the cuts you require and in the size of packaging that best meets your needs. In addition to traditional roasts, chops and steaks we can provide you with ground beef or pork, burger patties, or you may choose to utilize our curing and smoking facilities for sausages, hams, or jerky. Packaging options include brown wrap, cellophane, and vacuum sealing. Kawano Farms boasts a modern curing and smoking facility and will produce your hams and specialty smoked products according to your specifications. 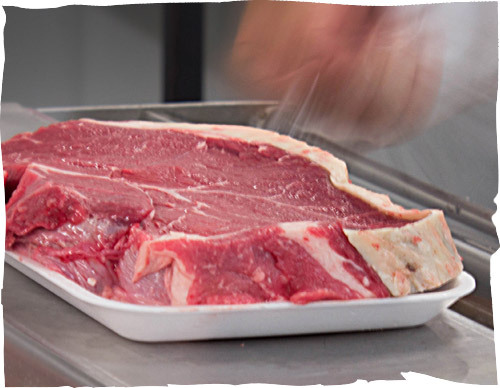 Because we only do small batch processing you can be assured that your animals will not be processed with any one else's and we can guarantee that your meat will be cured and smoked to your personal specifications. Finished products are nitrate free. 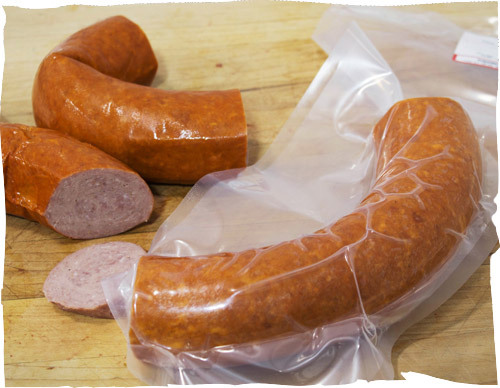 Kawano Farms offers full sausage making facilities and small batch processing guarantees that you receive the seasoning blend that you prefer. Our custom processes allow us to produce products for those with dietary sensitivities. We produce sausages that are gluten free, and if you have other food allergies you can give Kawano Farms a call for a list of ingredients. For a price list of our services, call 250-963-7127, or email us. © Kawano Farms. All Rights Reserved.